President Donald Trump called for congressional action after Monday's failed New York City terror attack. "Today’s attempted mass murder attack in New York City — the second terror attack in New York in the last two months — once again highlights the urgent need for Congress to enact legislative reforms to protect the American people," Trump said. President Donald Trump responded to Monday's failed New York City subway bombing in an early evening statement, calling on Congress to pass his immigration agenda. "Today's attempted mass murder attack in New York City — the second terror attack in New York in the last two months — once again highlights the urgent need for Congress to enact legislative reforms to protect the American people," Trump said. "First and foremost, as I have been saying since I first announced my candidacy for president, America must fix its lax immigration system, which allows far too many dangerous, inadequately vetted people to access our country." Early Monday morning, Akayed Ullah, a 27-year-old Brooklyn resident from Bangladesh, allegedly set off a pipe bomb in a concourse at the Port Authority Bus Terminal near Times Square. The bomb appeared to go off prematurely, and Ullah was taken to the hospital for his injuries. Police said three other people were injured in the attack. Ullah was reportedly inspired by the terror group ISIS. ABC News reported that Ullah lived in the US for seven years, holding a New York City Taxi and Limousine Commission license from 2012 to 2015. "Today's terror suspect entered our country through extended-family chain migration, which is incompatible with national security," Trump said. "My executive action to restrict the entry of certain nationals from eight countries, which the Supreme Court recently allowed to take effect, is just one step forward in securing our immigration system. Congress must end chain migration." "Congress must also act on my Administration's other proposals to enhance domestic security, including increasing the number of Immigration and Customs Enforcement officers, enhancing the arrest and detention authorities for immigration officers, and ending fraud and abuse in our immigration system," he continued. "The terrible harm that this flawed system inflicts on America's security and economy has long been clear. I am determined to improve our immigration system to put our country and our people first." He also said those "convicted" of such acts of terror "deserve the strongest penalty allowed by law, including the death penalty in appropriate cases." 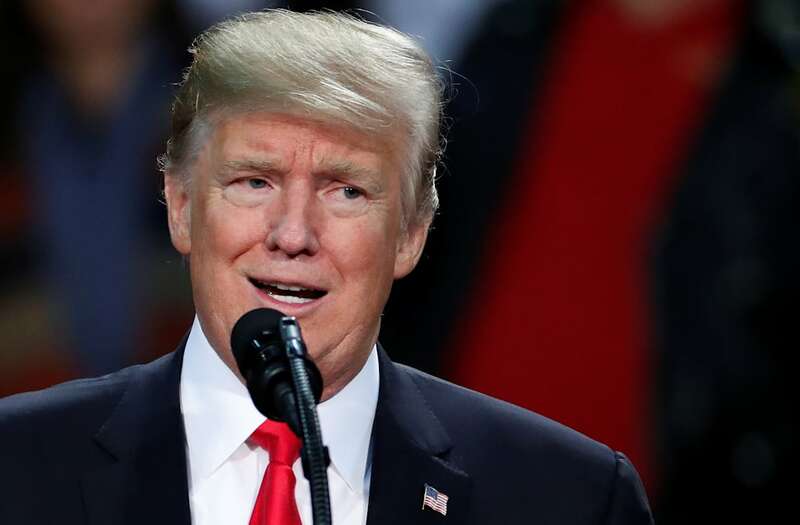 Trump has been quick to call for legislative action in the aftermath of terror attacks, often promoting the need for his controversial travel ban, legislation to dramatically slow down immigration into the US, or the construction of his proposed massive wall along the southern border.